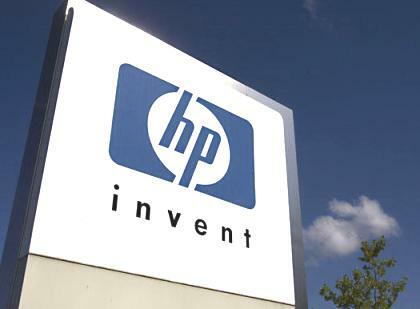 Hewlett-Packard will pay US$100 million (RM373.95 million) in order to settle a class-action lawsuit that emerged from its 2011 purchase of British software company Autonomy. Dutch pension fund PGGM was the main petitioner in the suit, which has been running since 2012. According to reports, the payment will be made in cash and it will be paid into a settlement fund so as to compensate affected shareholders. HP spent US$11bil (RM41.13bil) to purchase Autonomy. However, a year later, it was compelled to write down its value by US$8.8bil (RM32.88bil). In the beginning, Autonomy's revenues dropped and HP later said in November 2012 that it had revealed accounting irregularities at the firm. Autonomy's managers did not agree to that, however HP's stock fell to 10-year lows. Washington, Nov 26 : Hewlett-Packard has netted an income of 2 billion dollars or 70 cents per share in the fourth quarter, an earnings report released by the company said. The company's non-GAAP earnings were 1.06 dollars per share on revenue of 28.4 billion dollars and saw a decline of 2 percent year over year, reported CNET. The Wall Street was looking for earnings of 1.06 dollars per share on revenue of 28.76 billion dollars. Therefore, HP's shares fell slightly by 2.6 percent in after-hours trading. The company had recorded earnings of 3.74 dollars per share and revenue of 111.6 billion dollars for fiscal 2014. Washington, Apr 29 : HP is reportedly developing a 14- inch Android powered laptop called the SlateBook 14. Although the company hasn't announced the laptop officially as of yet, the SlateBook 14's dem video appeared on HP's website along with a video briefing the device's key features and specs. According to The Verge, the SlateBook 14 boosts Android's productivity thanks to its 14-inch 1080p display and full-size keyboard. The laptop has a built in 2GB of RAM and 16GB of internal storage and includes Beats technology, for a powerful and bass-heavy audio experience. Washington, Feb 21 : Hewlett-Packard has reportedly surpassed its expected first quarter earnings and revenue as the PC business delivered sales growth amid enterprise demand. The company's first quarter earnings reached 1.4 billion dollars or 74 cents a share, on revenue of 28.2 billion dollars, against Wall Street's prediction of 84 cents a share on revenue of $27.2 billion. According to Cnet, on a constant currency basis, HP's revenue was up slightly, while non-GAAP earnings for the first quarter were 90 cents a share. Washington, Jan 21 : Hewlett-Packard (HP) has reportedly resurrected laptop PCs with its older operating system Windows 7, following popular demand. Windows 7 has a good number of takers despite the debut of Windows 8.1 last October. While Windows 8.1 holds 3.6 percent of the desktop operating system market, post its launch, Windows 7 is used by 47.5 percent of all desktop PCs, whereas, Widows XP is still used by 29.9 percent of desktops which is three times the combined market share of Windows 8 and 8.1, Cnet reported. Washington, Jan 16 : Hewlett-Packard (HP) has reportedly announced its plans to roll out two new phablet devices in India in a bid to re-enter the smartphone market. The IT giant has previously released few Android and WebOS-powered tablets but hasn't released a mobile phone since 2009. According to TechHive, the phablet devices slated for Indian release include the 6- and 7-inch Slate 6 and Slate 7 VoiceTab, which run on Android 4.2.2 Jelly Bean and come with 16GB internal storage. Both devices would hit the shelves in the next month but the price of the phablets hasn't been announced yet. San Francisco, Feb 26 : LG Electronics has acquired the webOS mobile operating system technology from US IT giant Hewlett-Packard (HP), the two companies announced. "LG has entered into a definitive agreement with HP to acquire the source code, associated documentation, engineering talent and related websites associated with webOS," the companies said in a joint press release. As part of the transaction, LG also will receive licenses under HP's intellectual property for use with its webOS products, reported Xinhua. Washington, Dec 31 : A major Iranian partner of Huawei Technologies offered to sell at least 1.3 million euros worth of embargoed Hewlett-Packard computer equipment to Iran's largest mobile-phone operator in late 2010, it has been revealed. China's Huawei, the world''s second largest telecommunications equipment maker, said that neither it nor its partner, a private company registered in Hong Kong, ultimately provided the HP products to the telecom, Mobile Telecommunication Co of Iran, known as MCI. 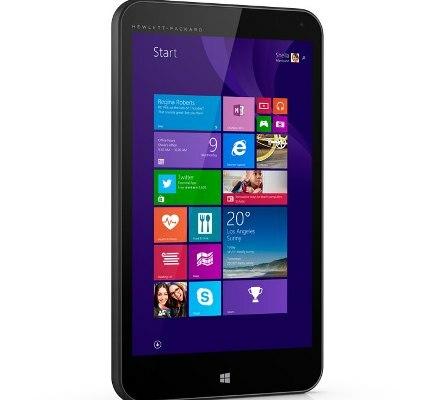 With Hewlett-Packard (HP) having announced business-centric ElitePad 900 tablet three days back, Acer has now officially introduced its Iconia W700 --- the company's new flagship tablet based on Windows 8 Pro and equipped with Intel's Ivy Bridge processor. Hewlett-Packard has sent a letter to Oracle on Wednesday threatening legal action if it does not go back on its decision to stop software development for Itanium hardware. HP said that it did not make the letter public because of some of the confidential information it contained but affirmed that it will make Oracle honor its commitment to HP and customers. According to latest reports, HP's TouchPad tablet will be released on June 22. HP had only said that the tablet will be launched in ‘"late June" this year but since then has not released any details about the launch. Synnex, an IT equipment company, kicked started the rumor as it listed WebOS-based tablet with a 6/22 date. Meanwhile, Amazon's TouchPad product page does not feature any release data information. Hewlett-Packard has released its new Pavilion desktop PCs indicating that the era of the PCs are not over yet and the biggest PC maker in the world is still seriously working on developing new models. The new models provide workers and consumers the power they expect from a desktop as well as design cues and slimmer form factor found on latest devices such as laptops and tablet computers. The new models have “clean lines, soft forms and contrasting materials” and shows that HP is playing a lot of attention to designs of the PCs. Third quarter ended December 2010 registered HP on the top position. Technology giant Hewlett Packard (HP) had gained market share of 17.3% in terms of sales. Dell was put out of the place with 14.2% share and Acer holding the third position with 11.5%. After slipping from last two quarters in Indian PC market HP regained its number one position in the third quarter including both notebooks and desktops. Oracle Corp has offered its president's position to Mark Hurd. Mark Hurd is the former chief Executive of technology giant Hwelett-Packard's (HP). Last month, he has been asked to abandon the HP in the wake of charges of sexual harassment. In addition to the president's position, Oracle also selected Mr. Hurd as a director on the company's board. Hewlett-Packard (HP) position of the number one seller of personal computers (PCs) in India has been beaten by US Laptop major-Dell for the first time. As per the latest reports by IDC India quarterly PC tracker, the overall PC market in India grew 34 per cent year-on-year in the quarter ending June. The PC sales primarily include of laptops and notebooks. HP that has a long track record of dominating the Indian market for over six years recorded a market share of 14.3 per cent while Dell managed to grab a market share of 15.2 per cent in the second quarter (April-June) of 2010. An Indian origin Scientist working in HP computers, Vinay Deolalikar claimed that he has successfully solved P vs NP problem. The P vs NP problem has been graded in the list of the world's most difficult problems and a cash price of $1 million dollar is associated with its solution, so if someone proves P vs NP problem practically, he will be honored with a cash price of $ 1 million. A math issue with a $1m reward money linked to it and one which has major propositions in computing applications, as safety measures and artificial intelligence, is declared to have been cracked by an Indian doing job in the US. Vinay Deolalikar, a scientist at HP Labs in California, has projected a resolution to the issue, usually coined by mathematicians as 'Is P=NP?' in a thesis he has made available online. The trouble is one of the 7 programmed by the Clay Mathematics Institute for the Millennium award valued $1M, which will be gifted to the victorious solver of every mathematical issue. Financial calculations have shown that the settlement between Hewlett-Packard Co. and the US government is going to cost the IT Company dearly. The fall is going to be in the range of 2 cents per share of the company during the third quarter of this year. The settlement was done so as to resolve allegations that HP had followed illegal methods for gaining contracts. These were all related to government dealings and were filed by Norman Rille.